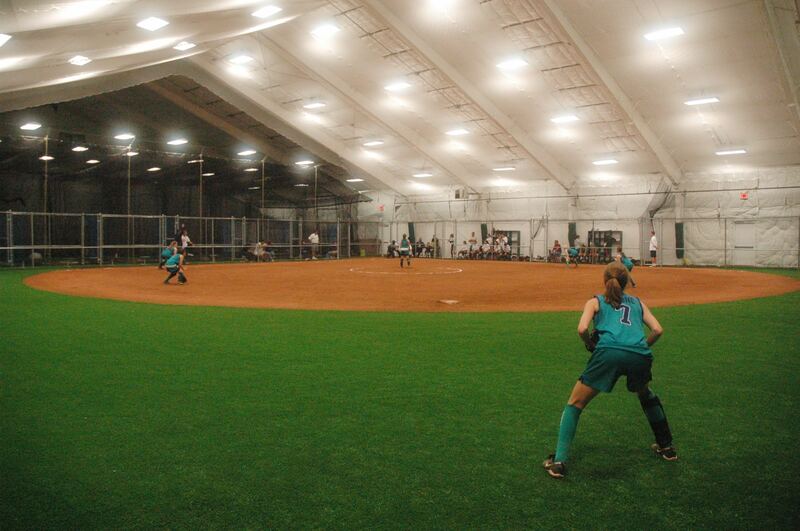 The centerpiece of the 24,000 sq/ft indoor facility is Fastpitch Nation Field. 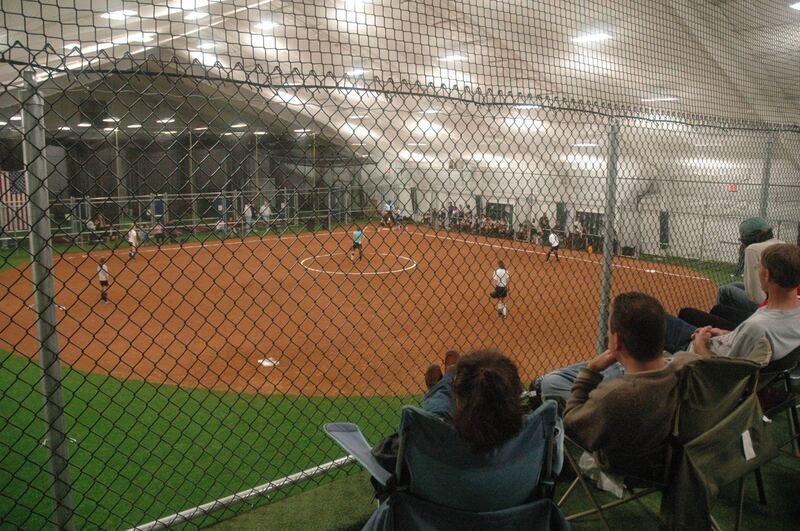 Players, coaches, and spectators alike marvel at the professional quality red Alabama shale infield and bright LED lighting. 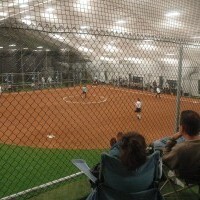 Regulation sized skinned all red Alabama shale infield with a reduced-size artificial turf outfield. 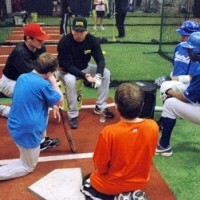 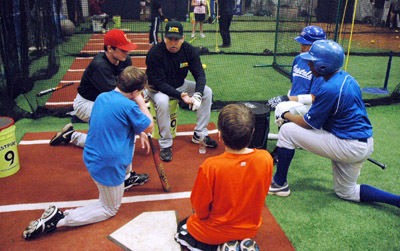 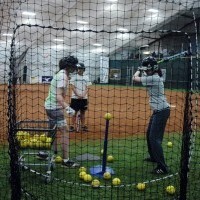 More than 450 indoor games are played annually. 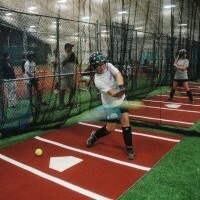 Field entirely enclosed by netting and an 8' chain link fence for maximum safety of both players and spectators. 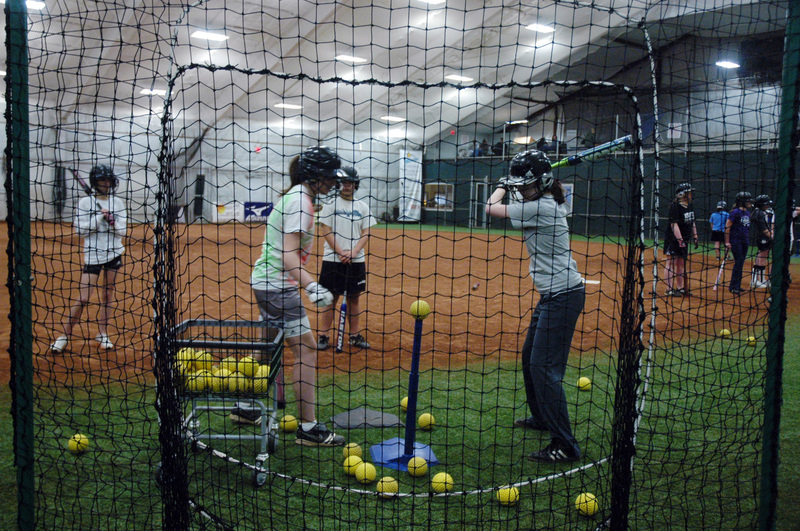 Five 50' Batting cages, five 50' and one 70' pitching lanes with fully retractable netting allowing us to transform the space as needed for lessons, camps, clinics. 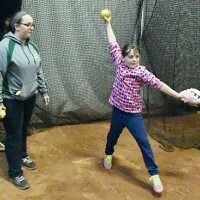 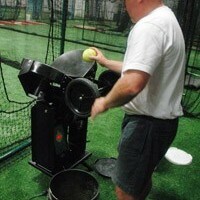 Highly advanced Sports Tutor Triple Play Pro 3-wheel softball pitching machines (6 different pitches). 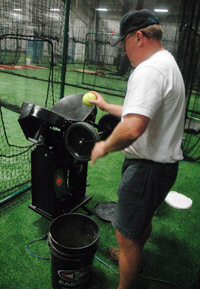 Atec Little league single wheel baseball machine. 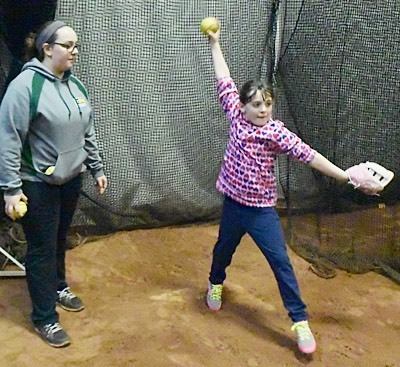 The Grandstand Level of Fastpitch Nation is a fan favorite as spectators are able to watch all the action of games from an elevated position from the comfort of our bleachers or their favorite chair. 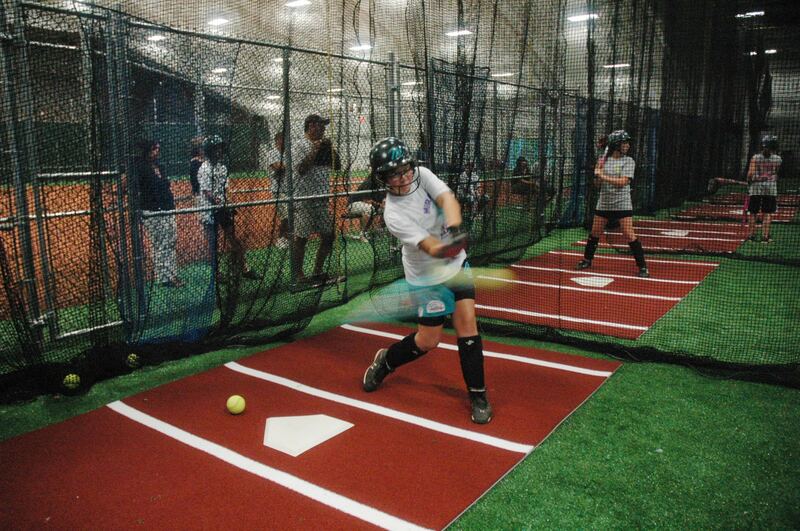 Fastpitch pro shop with demo bats available to try before purchasing new bats. 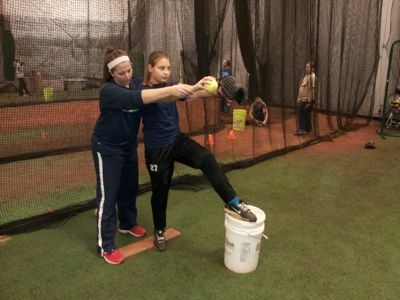 All games are streamed live on the internet.